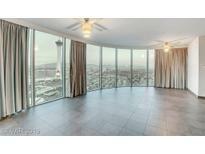 Below you can view all the highrises for sale in the Turnberry Towers subdivision located in Las Vegas Nevada. 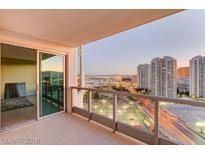 Listings in Turnberry Towers are updated daily from data we receive from the Las Vegas multiple listing service. To learn more about any of these highrises or to receive custom notifications when a new property is listed for sale in Turnberry Towers, give us a call at 702-323-5939. THIS RESIDENCE IS A RARE FIND w/ TWO ASSIGNED PARKING SPOTS + VALET PARKING & ASSIGNED STORAGE!!! READY FOR IMMEDIATE OCCUPANCY!! ! MLS#2090393. Award Realty. This 2 Bedroom On The 39th Floor Is A Absolute Delight. MLS#2089950. Genesis Realty Group. Enjoy The Resort Style Amenities. Seller Financng Available! ! MLS#2089055. Award Realty. This residence was professionally decorated with custom built furniture to maximize the livability and style.The owners have spared no expense and have maintained in excellent condition. MLS#2087809. Pordes Residential Sales & Mar. 24"x24" White Porcelain Flooring, Granite Counters, Marble Flooring in baths, Walk-In Closet in BR, Bosch Washer/Dryer, 12 acres of lush landscaping, Resort Style Pool, Spa & Waterfalls, BBQ, Casita, Tennis Courts, Dog park, 1 Reserved Parking Spot, Valet, Storage Cage, Guard Gated Turnberry Towers! MLS#2084227. Simply Vegas. The standout upgrades include custom cabinetry and closets, designer lighting, quartz countertops, baseboards and trim work, marble flooring & finishes in bathrooms, electric blinds and much more! MLS#2083804. Evolve Realty. Resort style living with waterfall landscape pool and spa, BBQ area, putting green and pet park. MLS#2083163. Home Connect America. Live where you play; walking distance to some of the best shopping & dining in the world! MLS#2083663. The TwentyTwo Group LLC. Turnberry Towers Las Vegas' high-end amenities are situated on 12+ acres of lush grounds & include resort style pools w/multiple waterfalls, tennis court, dog park & 24hr guard gated security. MLS#2083091. Luxury Real Estate Advisors. Tub/Shower*kitchen Has Stainless Steel Appliances/Tile Floors/Gorgeous Granite Counters*neutral Colors*convenient Laundry Closet In Unit*this Unit Comes W/1 Parking Space And Small Storage Unit In Basement* MLS#2082528. Resolution Realty. Pool, 2 tennis courts and social room.. and much more.. MLS#2082291. Evolve Realty. Looking over it Downtown Las Vegas and Red Rock mountain..enjoy the Las Vegas Country club golf course while you having a cup of coffee on your own balcony ..you only have 2 neighbors to share the whole floor.. MLS#2079861. Evolve Realty. 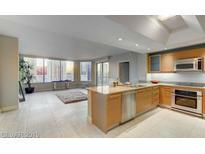 This floor plan flows thru tower allowing views from both north and south strip and City. MLS#2079559. Platinum R.E. Professionals. Resort style amenities incl pool, spa, BBQ, concierge, valet, tennis courts, fitness center putting green, dog park, 24 hr security and more! Two balconies with views galore! MLS#2077139. Award Realty. Valey parking, lagoon pool and spa and state of the art gym. MLS#2076547. Synergy Sothebys Int'l Realty. 2 Terraces With Marble Flooring. Shows Very Well MLS#2074609. Award Realty. This Is A Tremendous Value! Selller Financing Available!! ! MLS#2072746. Award Realty. Floor to ceiling windows, 2 balconies, concierge, beautiful resort style swimming pool, fully equipped gym/fitness, the amenities are ENDLESS! MLS#2070966. Northcap Residential. This is a rare find on high floor. MLS#2067071. Platinum R.E. Professionals. Financing Is Available! Don'T Miss This One!! ! MLS#2066060. LUXE Estates & Lifestyles LLC. Fantastic one Bedroom one and half bath unit has a lot to offer, amazing vies of Las Vegas, storage unit, Granite Counters, state of the art appliances, Access to the terrace from bedroom and the leaving room... Must See!! ! MLS#2064265. Elite Realty. Open plan is elegant yet comfortable. MLS#2063172. Vylla Home. Most Sought Out Floor Plan :luxurious Finishes That Include Travertine Throgh Out,Custom Lightning,European Cabinets,Marble And Granite Finishes,Stainless Appliances, Custom Window Coverings,Wrap Around Terrace With Breathtaking Strip,City ,Golf Course And Mountain Views And Soo Much More !amenities Include Resort Style Lagoon Pool, Gym, Tennis,!best Views In The Whole Project!must See ! MLS#2062006. Platinum R.E. Professionals.